E-commerce has changed the outlook of people when it comes to online shopping. People enjoy a peaceful and tension free shopping sitting at their home or office or anywhere they feel like without any hassle. This sector has boomed in so much that people now prefer to do anything and everything online. So is the case when it comes to travelling as well. 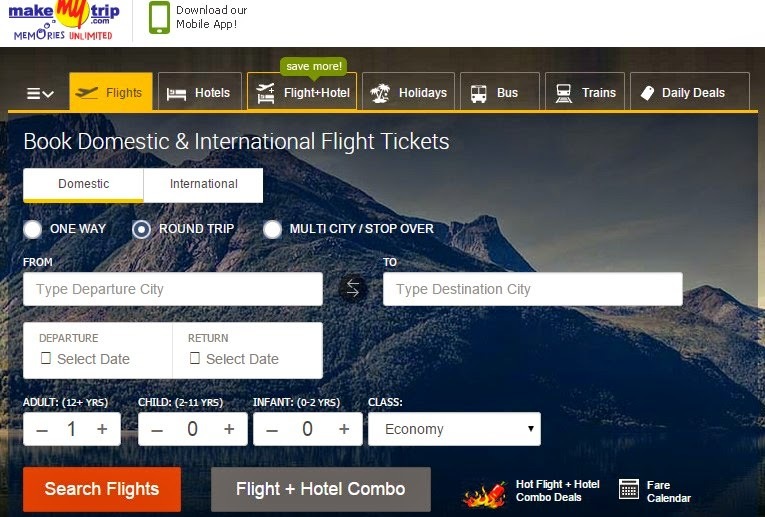 There are plenty of online travel sites that cater to the various needs of travelers including booking flight, bus and train tickets, hotels and even food. 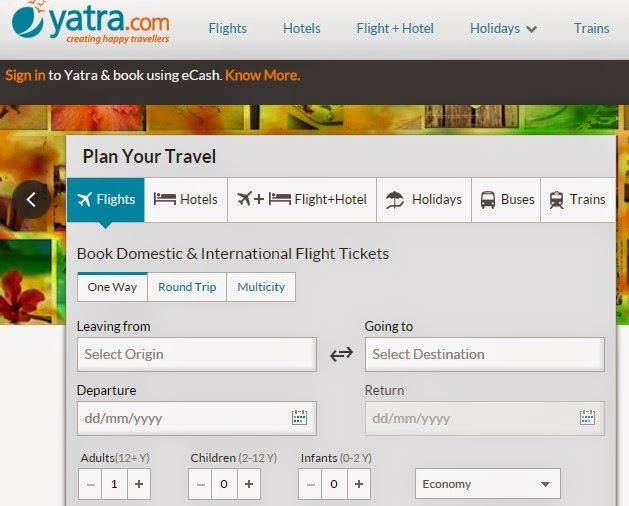 Alike MakeMyTrip, Yatra is also one of the premium online travel booking website from where you can book your flight, bus and train tickets and even get accommodation at affordable prices and that too at premium hotels. All you need to do is to look for YatraCoupon Code and avail surprising discounts on your tickets and accommodation and that too at premium hotels. Yatra too offers facilities to book your tickets, accommodation and even helps you plan on your holiday, offer you the best and affordable deals to exciting places including domestic as well as International destinations. So, now do not hesitate to plan your journey. Book your tickets now and enjoy some wonderful moments with your family. When MakeMyTrip and Yatra helps those travelers who prefer to plan their travel by flights, RedBus is one such online travel site that helps those people who prefer to travel on bus. RedBus helps to book your bus tickets on Volvo, Benz or any other luxurious vehicle and helps in booking your accommodation in good and affordable hotels at the most cheapest rates. From now you can enjoy a luxurious travel to such places you had hesitated to plan a travel due to high budget. Enjoy a memorable and joyous trip with your family, with loads of shopping through any of these online travel websites using their discount coupon codes. nice article, where to get these coupon codes?are the discount offer of 20% to 30% real? Had a very bad experience with makemytrip.com last year, when they didn't bother to inform me in advance when the flight i booked through their site was re scheduled.I had to stay back at my native place for 1 day extra , pay extra money for rescheduled flight as the airline was not willing to listen to my plea's that it was makemytrip.com's mistake, due to which i had to miss a very important meeting and days work at office. @Anon 2: Unfortunate-- but airlines usually send SMS about change in timings, you didn't get any?